Congratulations to Jon Clarke, Robert Hindges and Eugene Makeyev for receiving three Research Grants from the Biotechnology and Biological Sciences Research Council (BBSRC). Jon Clarke’s project aims to understand a fundamental aspect of brain growth and differentiation. During vertebrate brain development neural progenitors divide to increase the total number of cells and to generate cells of different types (neurons, glia or more progenitors). Many progenitors divide to generate two daughters that are different (for example a progenitor and a neuron) and these types of division are known as asymmetrically fated divisions. Asymmetrically fated divisions are fundamental to the embryonic processes of neurogenesis and progenitor self-renewal and are also likely to underpin adult stem cell behaviour. Drawing on work from invertebrate systems such as the fruit fly, a long held hypothesis suggests that the difference in daughter cell fates is determined by the asymmetric distribution and inheritance of fate determinants from the mother cell, but this hypothesis has been very difficult to test experimentally in vertebrates. The Clarke lab has developed a method that uses red light to rapidly manipulate protein localisation within individual progenitors in the transparent zebrafish embryo brain, thus allowing them to experimentally manipulate whether fate determinants are equally or unequally distributed to the two daughters during progenitor divisions. This new in vivo capability therefore allows a direct test of the hypothesis that asymmetric fates in a vertebrate brain are determined by the asymmetric inheritance of fate determinants. DNA has been traditionally thought to store information about development and function of our body by encoding numerous proteins with distinct enzymatic, regulatory and structural functions. Yet, only ~2% of the human genome is actually used for this purpose by producing RNA messengers that are subsequently translated into proteins. A large fraction of the remaining 98% – often referred to as genome’s “dark matter” – has been recently shown to give rise to relatively long non-protein-coding RNAs (lncRNAs) with poorly understood functions. Notably, this part of our genome is also enriched in repeated DNA sequences including so-called short tandem repeats (STRs). Expression of a few aberrantly long STR arrays expanded as a result of genetic mutations is known to lead to devastating degenerative diseases by recruiting multiple copies of important RNA-binding proteins (RBPs) to the repeated sequence units. On the other hand, the expression status and possible biological functions of most STRs encoded in healthy human genomes have not been investigated systematically. Eugene Makeyev BBSRC grant will allow his group to test the hypothesis that STR-containing lncRNAs function as pervasive regulators of cellular RNA metabolism by forming multiple contacts with corresponding RBPs and controlling their activity and cellular localisation. These studies should provide fundamental insights into regulation of cellular RNA metabolism and ultimately open up new avenues in diagnosis and treatment of cancer and neurodegenerative diseases. We are convinced that better understanding of the non-protein-coding part of our genome will lead to exciting biomedical discoveries in the nearest future and are extremely grateful to the BBSRC for their continued support of our work. 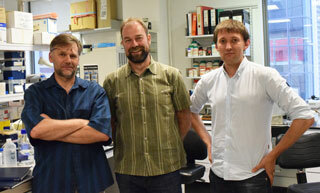 Robert Hindges’ project is all about relating neuronal structure to function. They both are closely related in the nervous system, but it is not clear how structure-function relationships develop. Interestingly, there are clear links between changes in neuronal morphology and psychological disorders. One example where the structural diversity of cells is clearly evident is the vertebrate retina. It consists of over 70 different types of neurons with the function to transform light information into electrochemical signals and send them to the brain. Although some progress has been made in uncovering factors that influence shape, complexity and connectivity of neurons, the general knowledge about the exact mechanisms is limited and many processes are still unclear. 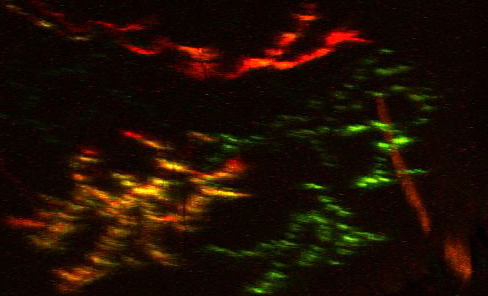 This project will focus on two specific types of amacrine cells in the retina -previously identified by the Hindges lab- that are crucial for the detection of oriented visual stimuli, a key element of visual information. 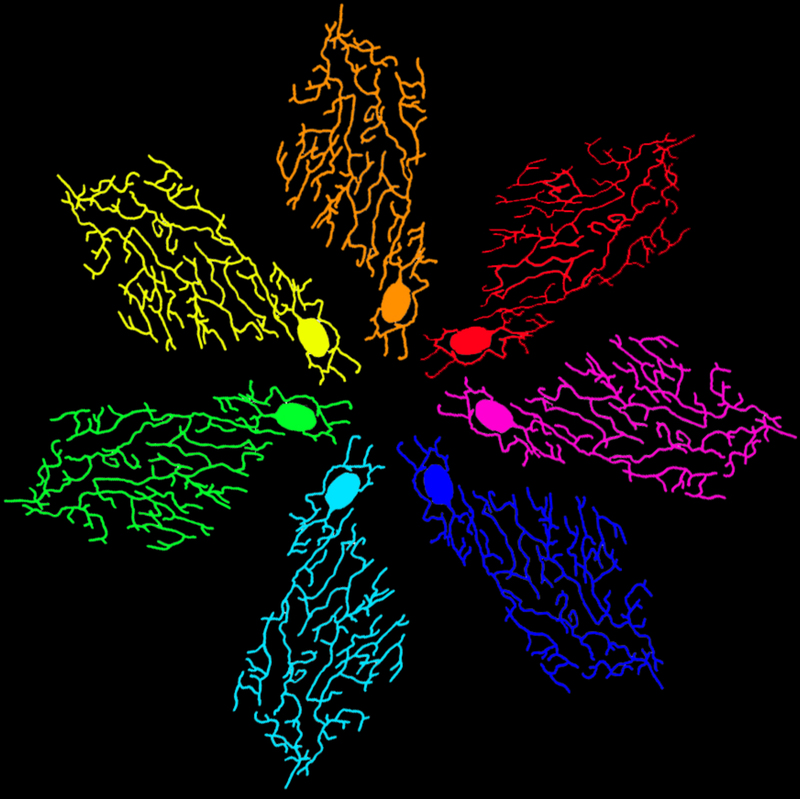 These cells have a unique stereotypic branching pattern and there is a striking correspondence between morphology and function, which will be employed as a model to study how such neuronal structure-function relationships in the brain are generated. Using zebrafish, the research will shed light on the developmental steps to form these specific cellular structures, the factors that influence the generation of this cellular shape and how this cellular shape is related to the morphology of directly connected cells in the retina. The work will be an important step forward towards better understanding how structure-function relationships develop in the nervous system. I am very excited about this project that addresses a fundamental question in neuroscience: how is structure related to function? Using a combination of live imaging in zebrafish, altering neuronal activity and detailed electron microscopy studies, we will be able to address some of the crucial aspects of generating cellular diversity in the brain and its relevance to neuronal function in healthy and diseased states.